We follow the Direct Primary Care (DPC) Model which offers affordable health care and unlimited services through a monthly subscription that works like a gym membership. There are a significant number of employed and self-employed people who are uninsured and many people that are insured have extremely high deductibles, $6000 and sometimes more than that. When did you first see this problem as one that needed to be solved? I began thinking about how I could be a part of the solution to our health care crisis in 2016. I spent a lot of time chasing my tail because I really didn't know how to effectively help. In March or April of 2017, I stumbled across an article on FaceBook about a nurse practitioner in Nebraska that was following the DPC Model. I had never heard of this model, where insurance wasn't accepted and the cost associated with it seemed "to good to be true." The comments were not positive and many questioned how she would make money or sustain. For some reason, I was intrigued by this model. So, initially, I Googled direct primary care and found that there were many physicians already following the model. I later found that there were other nurse practitioners following the model as well. I decided to reach out to the NP by sending her a message via Messenger on FB. She responded and called me. After our conversation, I knew this was a model that could help a lot of people. I walked away from that conversation thinking the world needs more people of power that are willing to put compassion before wealth. That's what the NP in Nebraska is doing and what I decided to do. Six months later, I opened Hope Wellness Center & Spa following the Direct Primary Care Model. Did the problem ever seem like it was bigger than you? The healthcare crisis is certainly bigger than me and any one person, whether it's a physician or nurse practitioner operating a DPC practice. No insurance, high deductibles, poor access, co-payments and high out-of-pocket costs for medication are just some of the issues that contribute to inappropriate use of the emergency department, poor patient medication compliance, poor patient satisfaction and ultimately, decreased patient outcomes. What makes YOU stand out from others who may solve similar problems? As a nurse, our education has always involved providing holistic care, taking care of the whole patient. This is a very important aspect of DPC. By not relying on insurance reimbursement, I spend more time with my patients--30-60 minutes--allowing them to tell me the long version of their history. I spend less time on administrative tasks, like searching for billable codes and complicated documentation required by insurance companies for reimbursement. Members pay a flat monthly fee of $50/month and receive unlimited office visits, unlimited virtual visits, in-house lab, annual preventive lab work, same or next day appointments, no co-payments and significant discounts on medication dispensed in the office. Spending more time with my patients allows me the opportunity to develop a customized plan of care that includes those things that are important to the patient. My patients have direct access to me as their provider and I also offer the option to utilize a secured telemedicine platform at no additional cost to subscribed members. Our mission is to provide patient-centered care that is respectful, culturally sensitive and compassionate. What, if any, concerns are there related to nurses NOT knowing about non traditional roles? The literature states that there is a projected physician shortage that will occur by 2025. Nurse practitioners are filling the gap in primary care settings. The field will soon become saturated, and if nurses don't start thinking outside of the box, they will find themselves stagnant and always working to bring someone else's vision to fruition. Some say, "It's not what you know, it's about who you know." In terms of developing business relationships, do you agree with that statement? Please explain your rationale. I do not agree with that statement. I believe "It's not who you know, it's who knows you." When you make the decision to take a leap of faith into a project that can help many....people will take notice and want to know who you are! Tell us about your transition. What was the process of moving away from the clinical role into a business role? What mindset shifts, if any, did you need to make? "I didn't leave the clinical role; however, transitioning to CEO of a private clinical practice of a non-traditional model was very difficult. It required countless hours of research. You must develop a vision, write it down and become relentless at achieving it. Your passion will start to show and people will start to listen. Surround yourself with a team of supporters that are experts in areas where you are weak. Believing in myself is the conversation that I have with myself on a daily basis. If you don't believe, you will never convince anyone else to believe. What has been the hardest thing in starting in your specific type of business or job role? People don't know about direct primary care, so I spend a lot of time talking and increasing awareness. I want people to know that truly affordable options are available. Many have the mindset that since they don't get sick often, they really don't need to pay for healthcare when they are well. Some lack a true understanding of preventive care. What has been the most rewarding thing about being in your business or job role? It has been most rewarding, humbling myself and developing a desire to serve God's people. In a practice where I rely on subscription membership as opposed to insurance reimbursement, I enjoy practicing in a way that is pleasing to the consumer. It is so rewarding when my members have that "aha" moment and determine that the service is high quality, personal, convenient and affordable. What would you say are the five important resources (books, conferences associations) for a nurse who wants explore business? Write the vision, read "Nurse-Led Health Clinics" and "How Rich People Think," then attend a conference focused on your business area. There is an annual DPC Summit and I plan to attend this year. Let's talk legal stuff. Many nurses are afraid of this part of business. How did you address this concern in your business? What worked for you? The legal stuff is important! I did lots of research on my own and once I was clear about the law and what I was trying to accomplish as a nurse practitioner in private practice, I hired a lawyer. My lawyer confirmed my understanding, corrected when necessary and guided me as I set the practice up. I saved a lot of money by doing a lot of my own research. It was time-consuming but worth it since my budget was small. Who supported you during this transition? Did you have paid mentorship or coaching? If so, what made you make that investment in paid support? I self-funded this entire project. My husband Eric Walker, Ed.D., has been my biggest supporter. My support system also consists of physicians, nurse practitioners, and friends that have successful businesses, friends and family with talents that would benefit any business. At this time, I can not afford paid mentorship or coaching, although I could definitely benefit from it. At this time, I am currently supporting my practice by moonlighting in urgent care. When I am generating consistent revenue, paid mentorship to get me to the next level will be a priority. What would you like others know about what you do? I have been a nurse for over 20 years with a plethora of clinical experience. I've spent several years as an assistant professor educating undergraduate nurses and continue to mentor undergraduate, graduate and advanced practice nurses today. 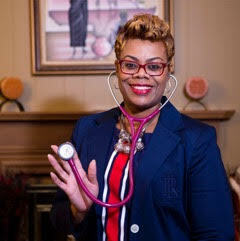 I am currently pursuing a Doctorate of Nursing Practice; it is a goal that my impact on health care be profound. If you are an advanced practice nurse interested in entrepreneurship and/or learning more about the Direct Primary Care Model, please join my closed group on FaceBook, "Nurse Practitioners in Direct Primary Care."